I remember it vividly like it was yesterday. In less than 15 minutes! Back then, I knew very little about dog training, and what my friend was able to do with my dog seemed like magic to me. You see, as a young boy, I desperately wanted to connect and become best friends with my dog Tobbie. However, he had a bunch of behavioral issues that made this impossible. Seeing my friend teach my dog to roll over (on command) in such little time, was simply amazing to me. I couldn't believe it. He used a method known as luring. It's a method used by professional dog trainers all around the world, especially those who uses positive and force-free training methods. You use a treat (something the dog would like to eat, like a piece of sausage or chicken) and you use it to guide the dog into a specific position. Once the dog gets into the position, you release the treat and let the dog eat it. By repeating this simple exercise, a dozen of times or more, the dog eventually learns that getting into that position is favorable as a treat will be given. So, my friend started out by putting the treat in front of my dog's nose, and moving his hand towards the ground. As soon as my dog laid down, he released the treat. He continued the process, slowly getting my dog to roll over onto his side, and releasing the treat. And little by little, he was able to get him to roll over! Once my dog figured out what he wanted, he wouldn't stop rolling over. He would basically do it at will, and my friend even got him to do it on command after saying "Roll Over!" This had a severe impact on me, because I had no success training Tobbie, and it was all because I was doing it all wrong. Like many dog owners out there, I was told that I had to become the "Alpha" and that I had to assert my dominance over my dog. So we would always punish him, grab him by the collar and shake him. Not only did this NOT work... It made matters WORSE! He started fearing us and growling at us anytime we came near him... Which eventually led to me becoming distant from him, and sadly, abandoning my training efforts. It wouldn't be until years later that I figured out how my friend was able to do this, while I was studying dog training. The good news is once I learned all of this stuff, I started videotaping my training sessions with my dogs, and one of the videos I filmed shows this entire process. If you watch the video above, you will notice that there are four stages to luring. You can learn more about the four stages of luring on this page. BEHAVIOR: Teach your dog the desired behavior. This may require rewarding several steps along the way. HAND SIGNAL: Transform the lure into a hand signal by removing the food from your hand. VERBAL COMMAND: Test your dog's understanding of the verbal command and see if your dog can perform the behavior without ANY visual cues. It's important to note that this training method will ONLY work with dogs who are food motivated. Want to MASTER the Luring Training Method? A little while ago, I created an online dog training course titled "Good Dog Every Day." 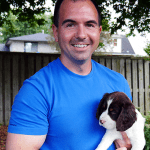 Inside this course, you will learn the fundamentals to training your dog using positive reinforcements. It is ideal to begin with this course if you are a new dog owner or if you want to re-visit the basics of dog training with your dog. You will also learn how to teach your dog the basic obedience behaviors, such as sit, down and stand. But it's more than that. 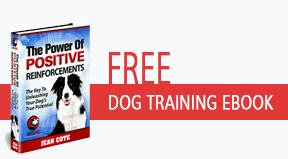 This course will give you a methodology and the confidence, and give you the ability to teach your dog hundreds of behaviors. Click here to enroll in this program now.